Entry is simple, post in these threads and each post is an opportunity to win. At the end of the fight, the total number of posts in the thread will be tallied and a random number will be generated from 1 to the highest number in that thread, with the winner getting a brand new Amazon Fire Tablet. The contests will begin at the opening of the play by play threads and will go until the official winner announcement and closure of the thread. Winners must fill out an affidavit and contest is limited to US residents and Canada (excluding Quebec) and winners must be 18 years or older. Wadtucket, Davey Crockett, BC and 1 other person like this. Wadtucket, BlastoiseDad, conorgoat and 1 other person like this. Having a hard time on this one. Semi boring decision though. Wadtucket, IngaVovchanchyn, NightwingBJJ and 1 other person like this. Wadtucket, McgreGOATsLeft, conorgoat and 2 others like this. Wadtucket, thelovacluka, Tormund and 4 others like this. In before epic Rumble KO. MMACroatia, Wadtucket, Nameless Ghoul and 4 others like this. Wadtucket, NightwingBJJ, SJP_SevenLaker and 5 others like this. Wadtucket, JohnyBrabo, conorgoat and 2 others like this. Can Big Tex weather round 1 Rumble? Wadtucket, Jackonfire, McgreGOATsLeft and 2 others like this. rooting for "rumble young man rumble"! Wadtucket, conorgoat and BC like this. That is how you move two weight classes up. 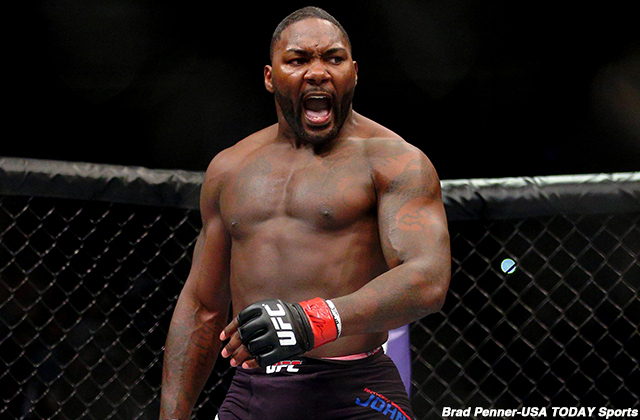 **Rumble might have missed the weight limit of 170lbs a few times. If this fight is garbage, I've lost faith in MMA. Seriously a sick matchup. Let's go Rumble. Wadtucket, JohnyBrabo, McgreGOATsLeft and 2 others like this. 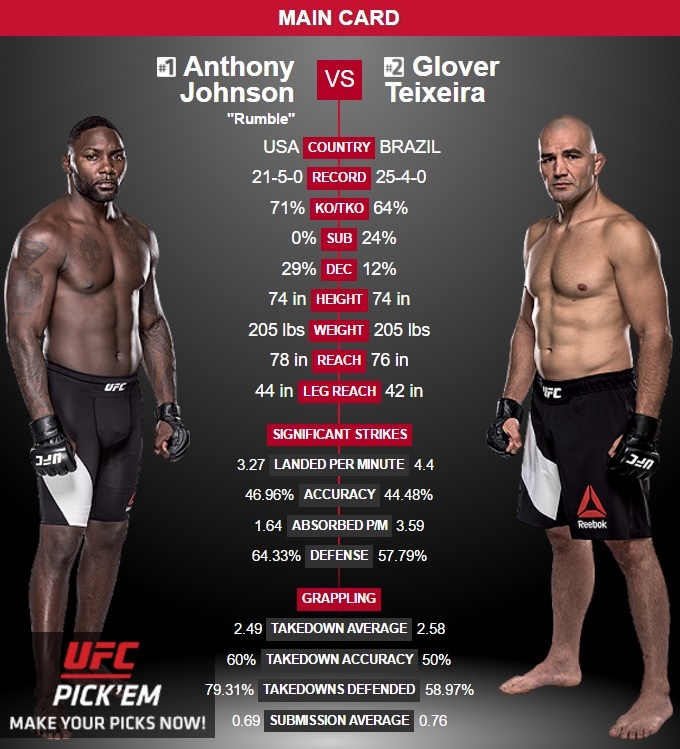 I'm putting my money on Glover because IMO he has a good chin usually has a good game plan. I think he's not going to look to trade very long and will go for the takedown quick and wins by submission eventually. This is a hard one though my mind says AJ is going to knock Glover out, my gambling opportunist side says there could be an upset. Wadtucket, Shotcy, PeleProtege and 1 other person like this. 50/50. Both can end it with one shot, but I have to say I think Glover's defense is suspect. Would be shocked if got Ko'ed has he even been rocked ? Wadtucket, paynebringer, NightwingBJJ and 4 others like this. NinjaNiK, Wadtucket, BC and 2 others like this. I wish they didn't have to fight, I'm torn in 2 right now. They are 2 of the scariest guys in the sport! I can't pick, but when that bell rings my heart rate is gonna be bumpin! Wadtucket, paynebringer and BC like this. Haj01, Wadtucket, paynebringer and 2 others like this.